ACSO was founded in 1969 by a small group of orchestra managers to network with each other and to be an advocacy organization to help champion the creation of the California Arts Council. Today, our goal is to provide orchestras and the classical music community with information and resources to keep elected officials, community and business leaders and voters informed about the music programs that raise the quality of life for Californians. ACSO will list pertinent alerts as it relates to California's classical music community. To see up-to the-minute information about bills that affect the nonprofit sector in California check out CalNonprofits' Legislation Tracker. This Amendment (passed in 1954) forbids nonprofits from endorsing candidates. We can of course take positions on ballot measures and legislation, but the Johnson Amendment protects us from being pressured to support a particular candidate for Congress, Board of Supervisors, or any other elected office. Imagine if a major donor asked your organization to publicly support his choice for the Board of Supervisors. Or if a foundation president sent a letter to grantees asking them to publicly oppose the same candidate. The Johnson Amendment protects us from this kind of pressure. Take action: call and contact your member of Congress TODAY! The comprehensive tax reform provisions signed into law last December include a new requirement for nonprofits to pay Unrelated Business Income Tax (UBIT) equal to 21% of the value of commuting and parking benefits provided to employees. 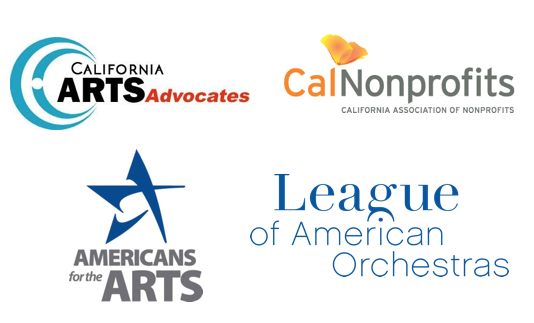 The League of American Orchestras has partnered with the broader nonprofit sector to ask for clarification of the new rules, delayed implementation, and repeal of this unprecedented tax on nonprofit expenses. While no guidance has been issued by the Internal Revenue Service to clarify which benefits are subject to the tax and how to value certain benefits, the new requirements officially took effect beginning on January 1, 2018. Weigh in with the Treasury Department on your behalf, and ask for a delay in implementing the new tax. Take legislative action to repeal the new tax on nonprofit parking and transportation employee benefits.